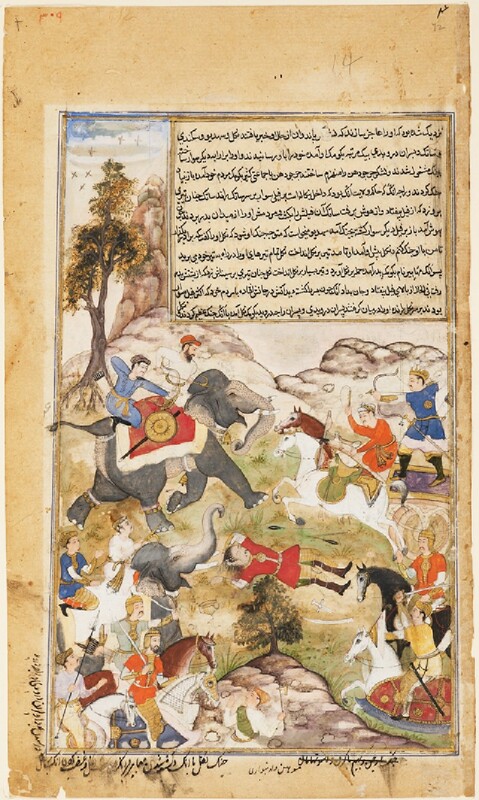 This illustration comes from a dispersed manuscript of the Razmnama, a Persian translation of the great Hindu Mahabharata epic made during Akbar’s reign. It depicts the Pandava brothers and their allies in a battle with the king of Anga in Bengal. The work was probably commissioned by Akbar’s leading minister, Abd ur-Rahim Khankhanan, and executed by artists trained in the imperial studio. 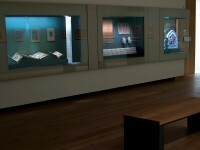 The Ashmolean has five other pages from this manuscript, and many others are in the British Museum.